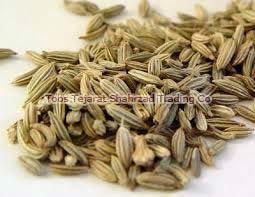 Our company provides high quality Fennel Seeds to our esteemed customers. The variety of Fennel Seeds which we offer are fresh and available in properly packaged and well sealed bags. We are capable of handling retail or bulk orders of seeds and ensuring their timely delivery to any part of the world. That is why we are a celebrated Manufacturer, Supplier and Exporter of Fennel Seeds from Mashhad, Iran. Fennel contains anethole, which can explain some of its medical effects; it, or its polymers, act as phytoestrogens. Packaging Details We could pack it as per customer request.